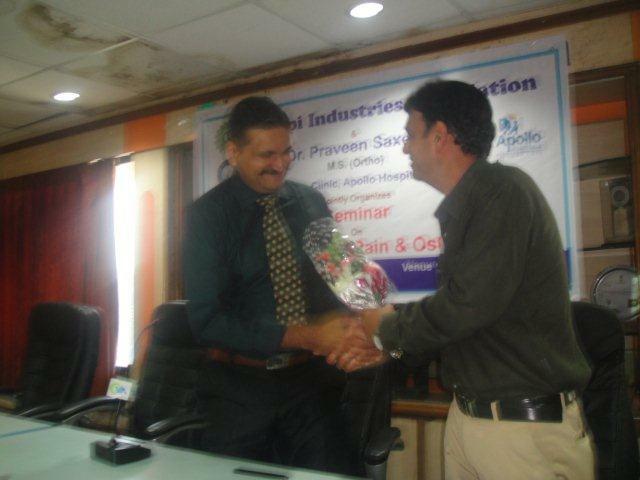 Vapi Industries Association (VIA) with the Support of Dr. Praveen Saxena, M.S. 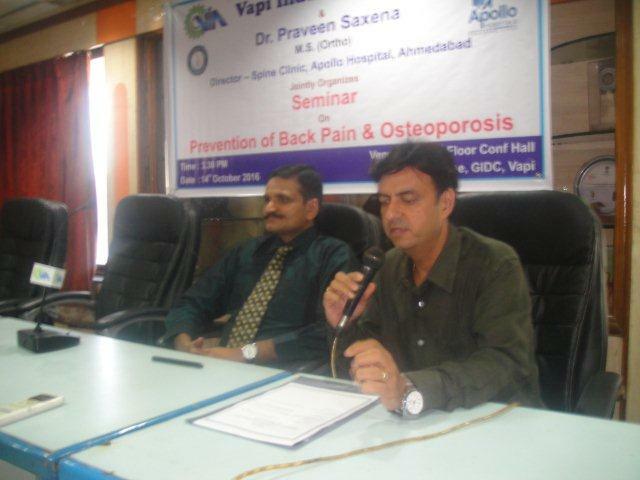 (Ortho), Director of Spine Clinic, Apollo Hospital, Ahmedabad held a seminar on Prevention of Back Pain and Osteoporosis at 3:30 pm on 14th October 2016 at VIA 2nd Floor Conference Hall. 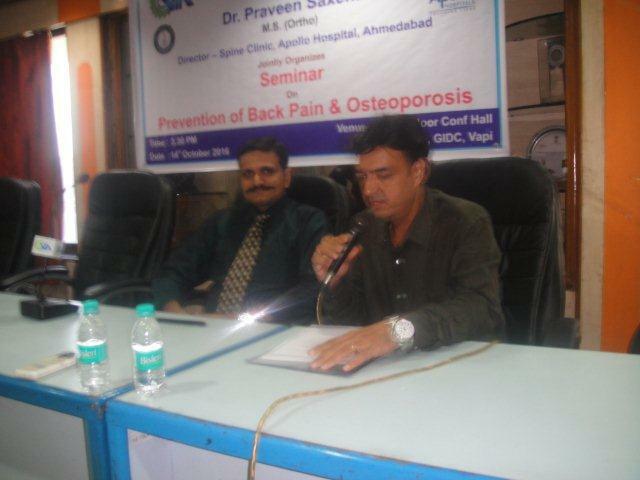 During this Seminar Dr. Praveen Saxena given important information about the reasons for Back Pain and the Methods for it's prevention. 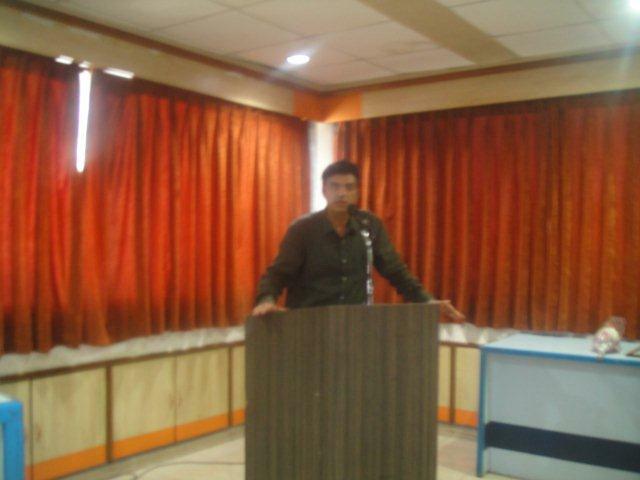 The program was attended by Shri Parthiv Mehta, Hon. Secretary, VIA, Executive Committee Members and Members of VIA and Friends from Press and Media.